Calgary is the largest city in Alberta and the largest in Canada between Vancouver and Toronto. The city is best known for ecotourism and winter sports. Winter sports attract many people to the nearby regions of Lake Louise, Banff, and Canmore, situated in the Rocky Mountain region west of Calgary. Calgary is also home of the Calgary Flames, our National Hockey League (NHL) team. Because of its strong agricultural and ranching history, Calgary has sometimes been deemed “Cowtown”, a nickname that is celebrated every summer during the world-famous Calgary Stampede. 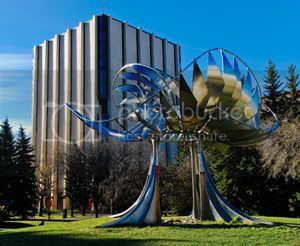 The University of Calgary is ranked as one of Canada’s top comprehensive research institutions. Currently, more than 29,000 students are enrolled in 14 faculties in undergraduate, graduate and professional degree programs. The University contains more than 30 research institutions and centres, including the O’Brien Centre within which iGEM Calgary operates. The University is also a member of a group of Canadian universities dedicated towards intensive research, known as the G13. The O' Brien Centre for the Health Sciences campus is located in the Foothills Hospital, near the University of Calgary. It is responsible for providing the iGEM team with lab space as well as funding. The O’Brien Centre was founded by David O’ Brien, who is a member of the Board of Directors at the U of C. The O’Brien Centre is the hub of top-notch interdisciplinary research and education. It funds approximately 9 million dollars a year for research. The 2010 iGEM team thanks the O’Brien Centre for the O’Brien Centre Summer Studentships, awarded to two of our members, as well as lab space, materials, and equipment for this year.